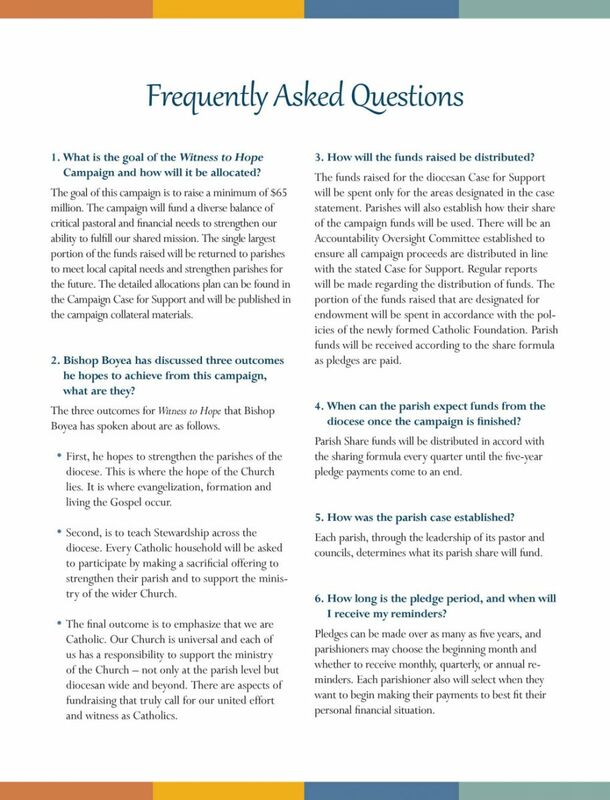 Weekly reports and parish updates are available for view / download by clicking here . Fr. Eric and the students of St Mary School, Westphalia celebrate Witness to Hope success! 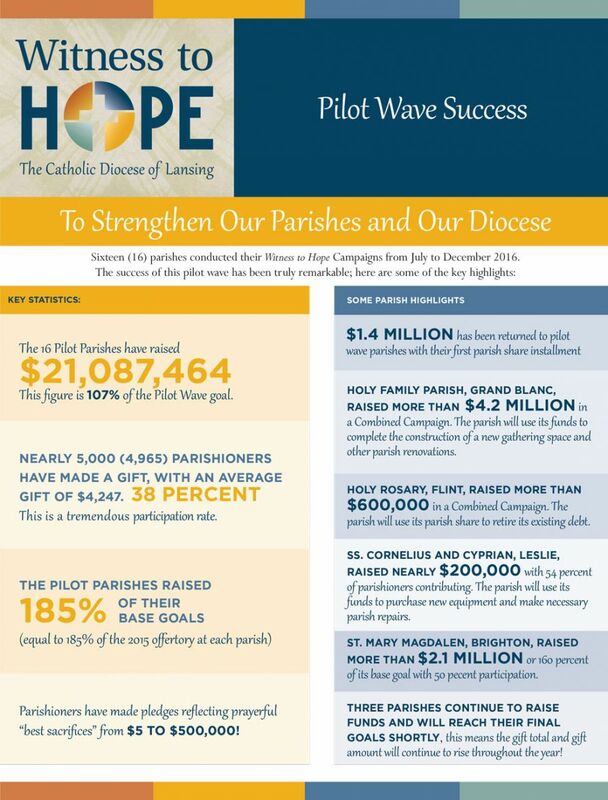 Great news about the success of the 16 Pilot Wave parishes! Witness to Hope continues to make great progress, but please take a look at what has already been done!